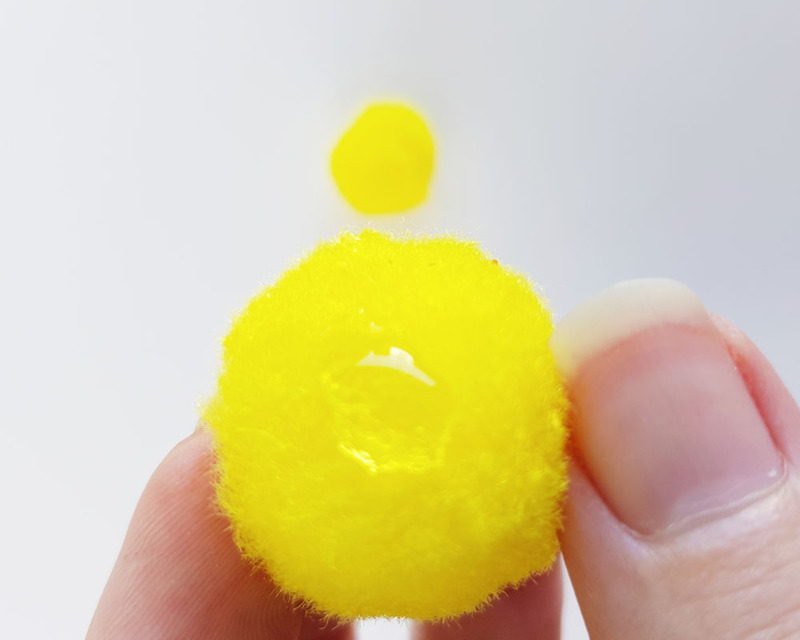 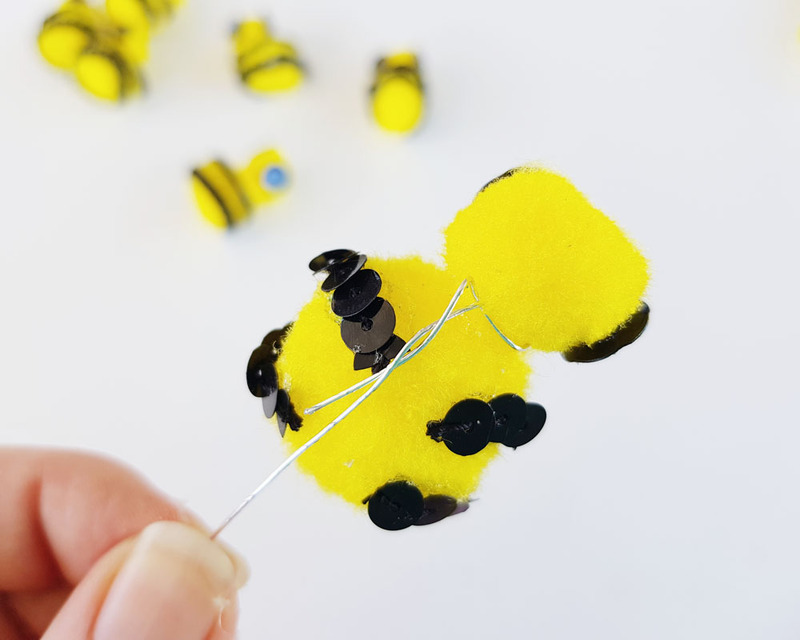 I have been hunting the stores and online for some cute bees for a Easter fascinator hat but have had no luck finding anything that tickled my fancy, so I guess I am making some little bee's myself and sharing the tutorial with you all! 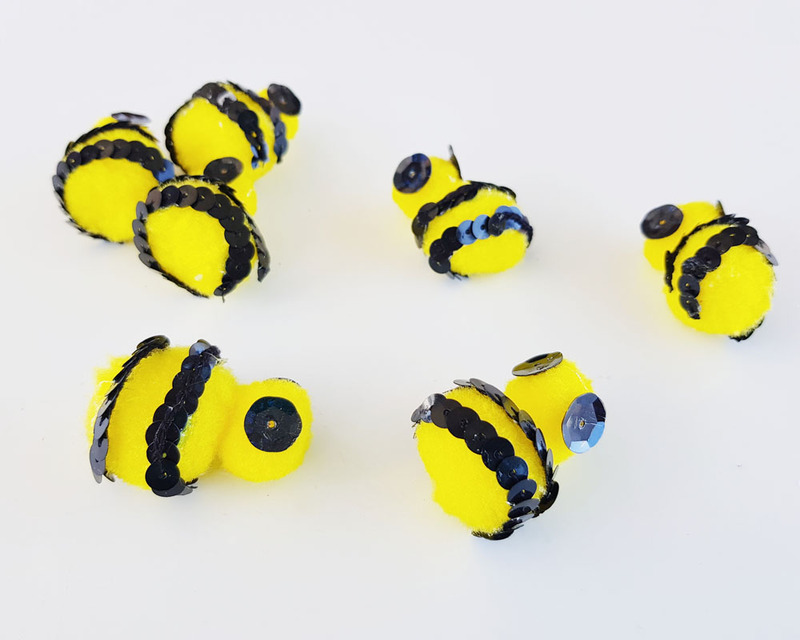 This is an easy craft project for the kids to use in their art work, present making and imagination play. 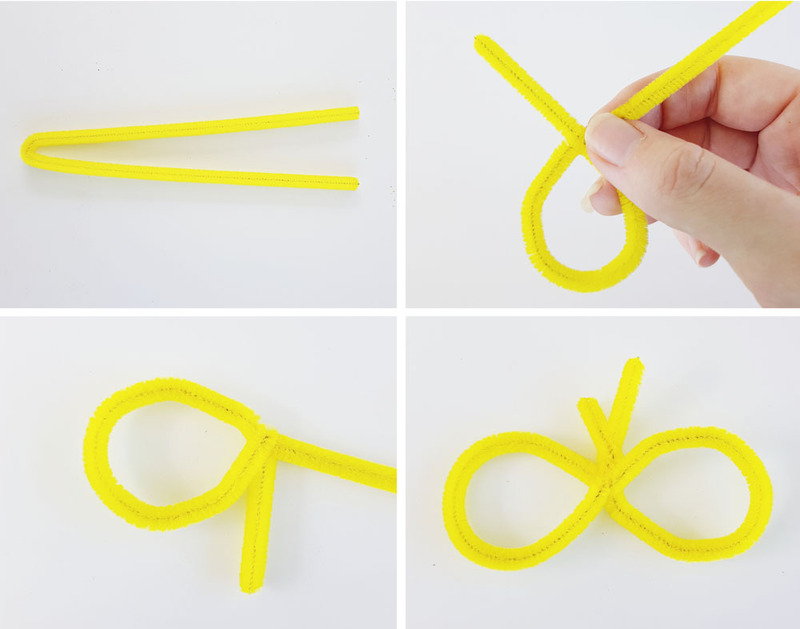 Just take out the wire part for the younger kids or help them to do this part. 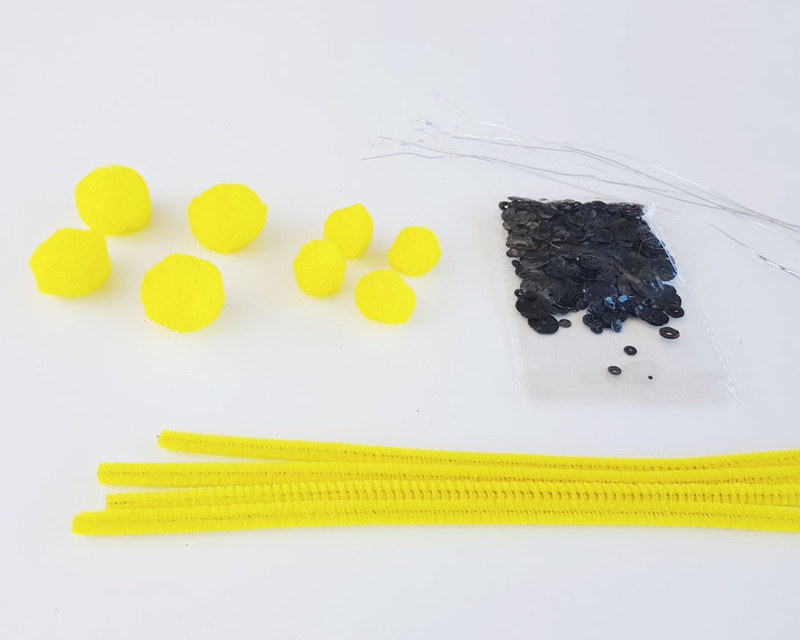 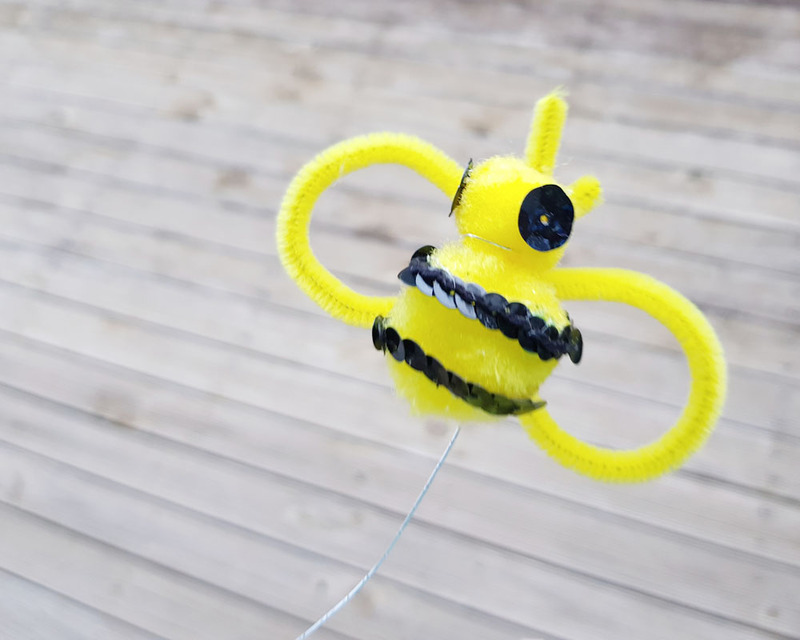 - Repeat with the other side and twist the bee antennas together around to stay tight and secure. 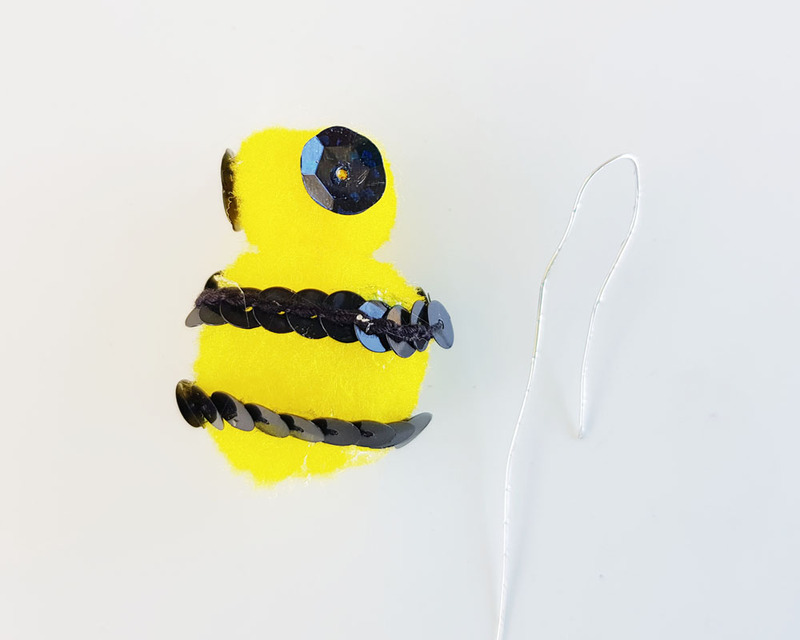 - With jewellery or thin normal wire, create a u curve and twist gently around the neck and twist at back. 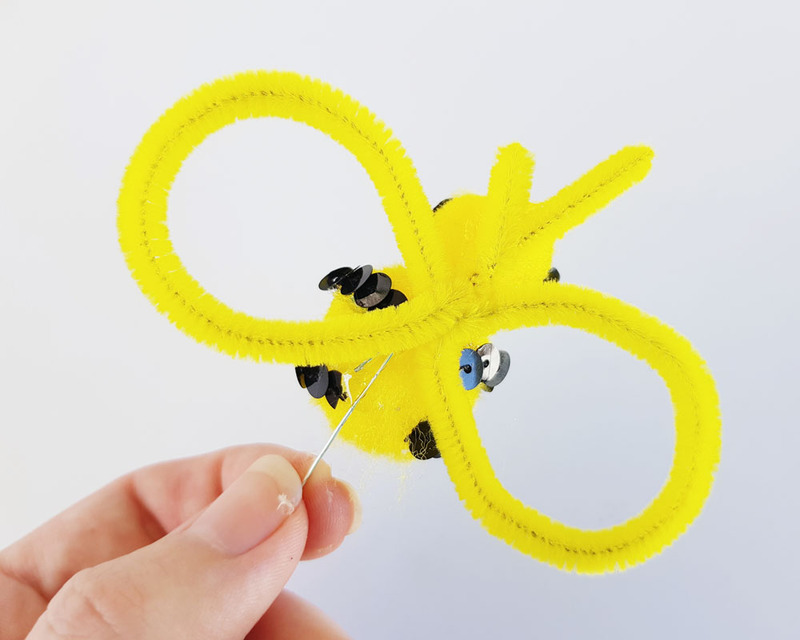 You only need to do this step if you need the Bee's flying for your craft project, otherwise skip this step and move on to gluing on the wings. 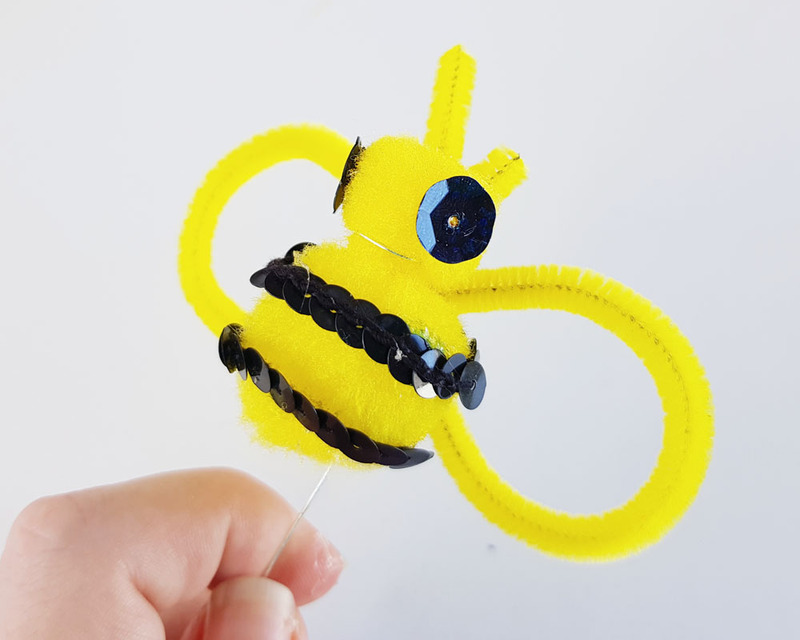 - Glue the pipe cleaner wings on the back of Bee, high enough to show the antennas from the front. 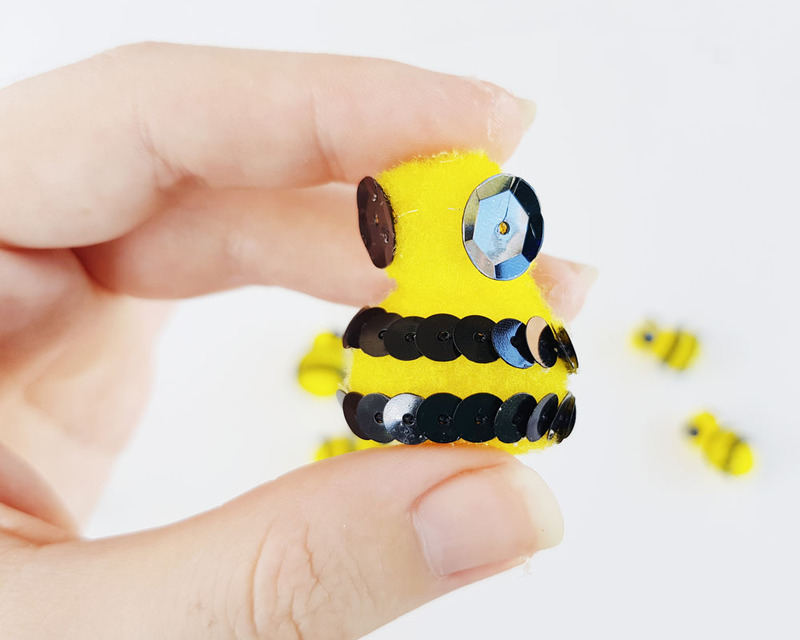 And now you have an adorable Bumble Bee!! 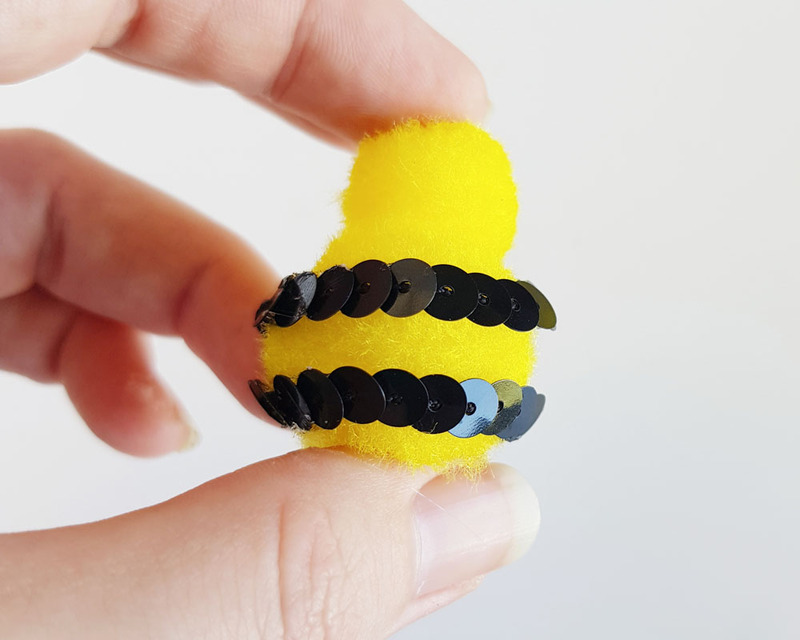 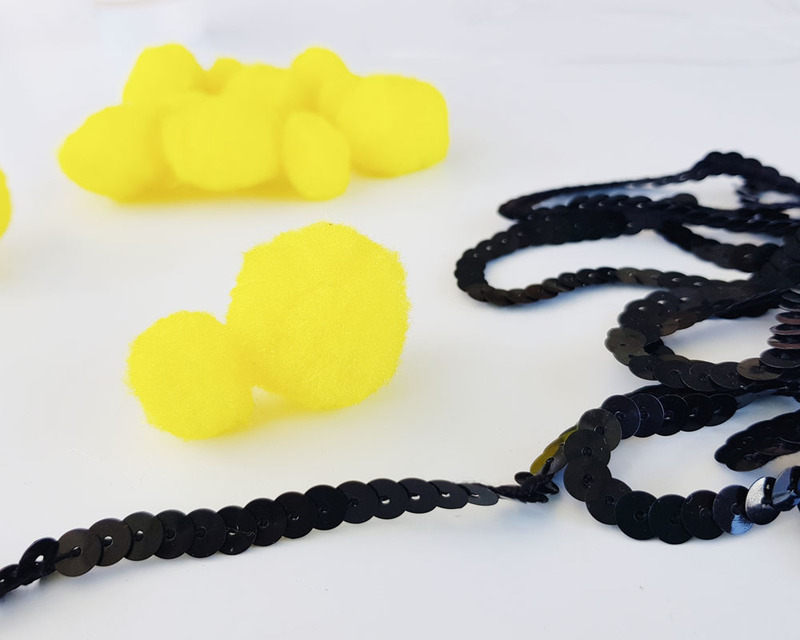 Make as many as you need, stick to your Easter parade hat, Spring crafty projects, School classroom crafts or make your own little hair accessories by attaching to hair clips.